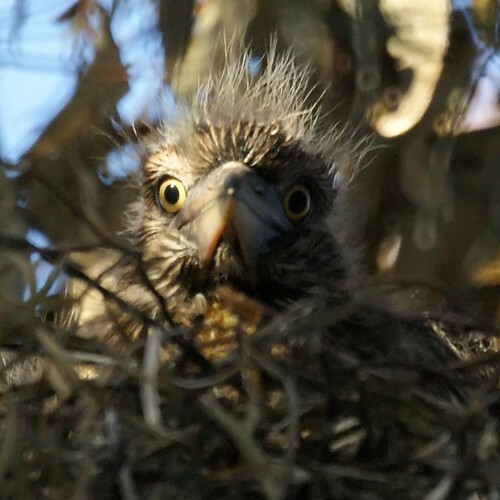 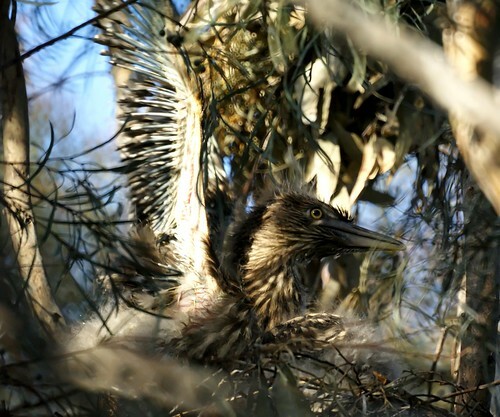 The highlight of the bird watching trip to Baylands Nature Preserve was seeing a nest of baby night herons. 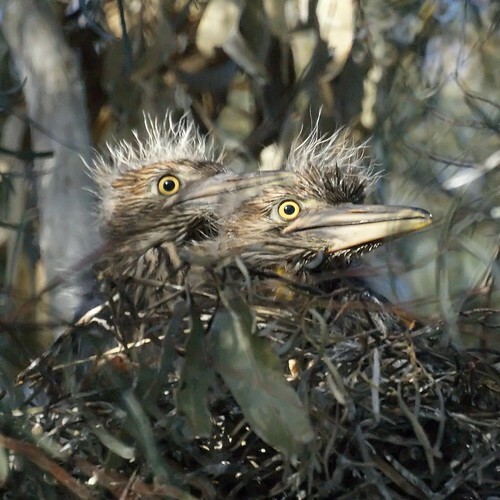 There may have been three in the nest, but two were visible most of the time. 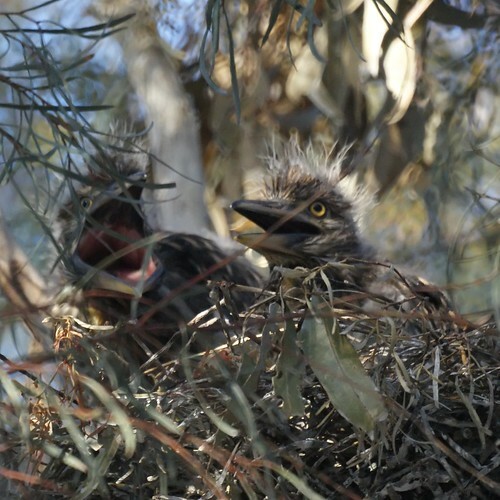 We have a black-crowned night heron or two in a tree near us but have never seen chicks before.